The District 6 2013 Winter Newsletter is hot off the presses! 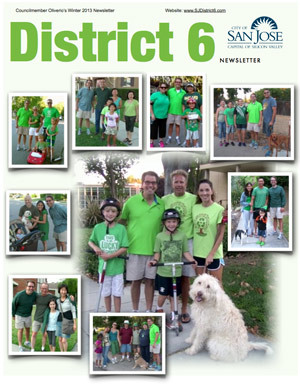 This informative newsletter will keep you up-to-date on what’s going on in District 6, as well as the City of San José. Click the cover image to view!